Successfully Added Recordable Parrot Wireless Doorbell to your Shopping Cart. 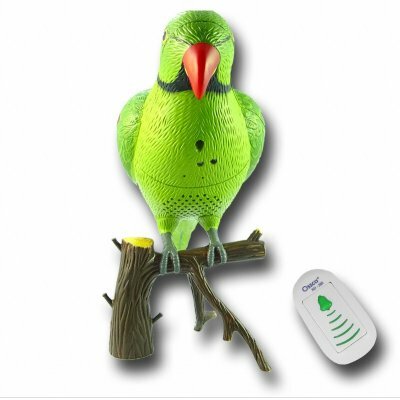 Novelty wireless doorbell, with a Parrot that will either give a bird song when the doorbell is sounded, or will play back up to 6 seconds of prerecorded sounds. A wonderful gift idea, this Parrot Wireless doorbell is easy to install as it does not require any wiring or electronic know-how. Simply fix the transmitter outdoors, and have the Parrot receiver indoors within 15 Meters, and the loud 2W speaker will sound every time the wireless doorbell is pushed. Make your home that much more interesting with Chinavasion's great wireless recordable doorbell parrot..